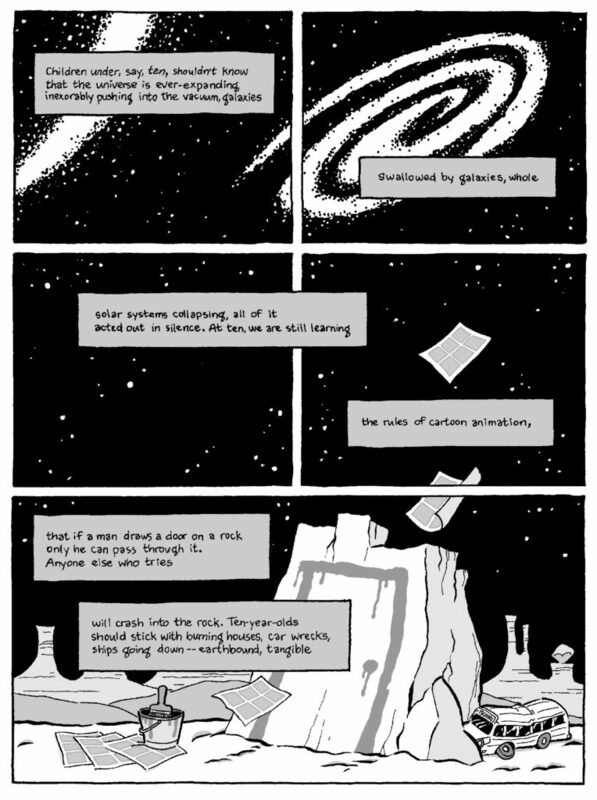 I recently adapted a poem called “Cartoon Physics, Part 1,” by my friend Nick Flynn, into a 2-page comic. Our collaboration is due to be published in the fall issue of CrossRoads, the magazine of the Poetry Society of America. 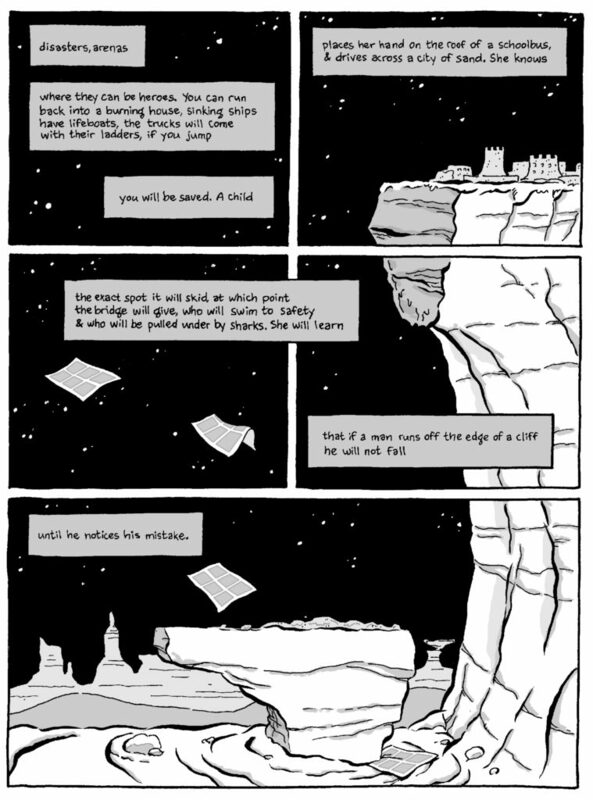 Nick Flynn is a poet who lives in Brooklyn, New York, and Provincetown, Massachusetts. He has received fellowships from the Fine Arts Work Center in Provincetown, and from the MacDowell and Millay Colonies. His poems have appeared in the Paris Review, Ploughshares, and The Nation, among other journals and magazines, Some Ether, a book of his poems published by Graywolf Press, won a “Discovery”/The Nation Award, as well as the PEN/American Center’s Joyce Osterweil Award. I want to thank him for choosing me for this collaboration.